Large Green Baccarat Layout - 180cm x 90cm (Approx.). Ideal for Fun Casino Home Gaming. Standard Baccarat design and betting rules. Screen printed design on thick felt material. Comes folded in its packaging. Can be ironed on a low heat to remove the creases (from the back). Can be used to make your own more permanent table. Baccarat Layout Length: 180cm (Approx.). 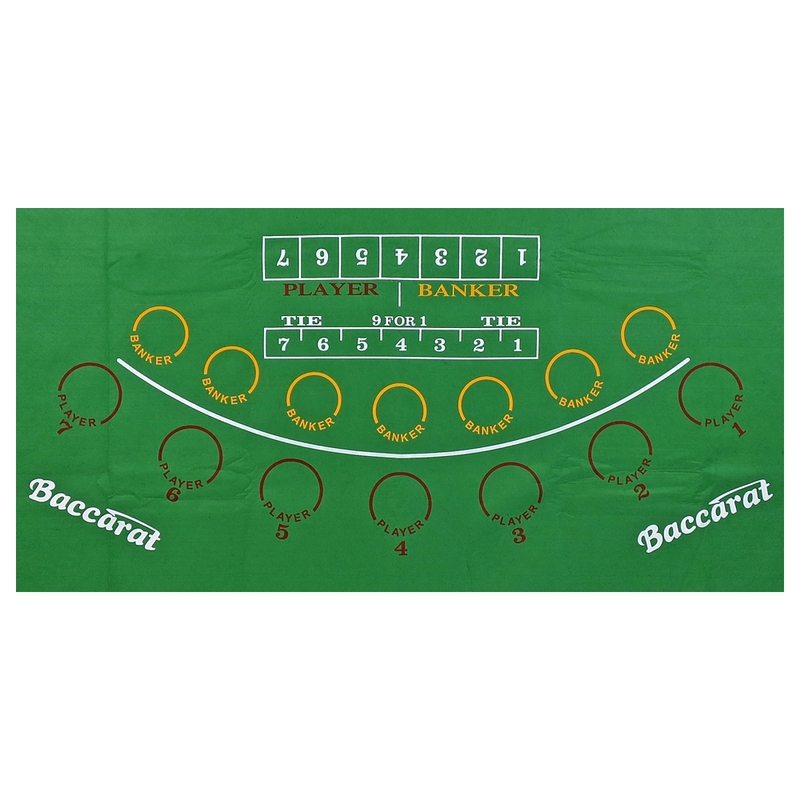 Baccarat Layout Width: 90cm (Approx.). Baccarat Print Length: 107cm (Approx.). Baccarat Print Width: 50cm (Approx.). This Large Green Felt Baccarat Layout is ideal for your Fun Casino Home Gaming. Its Large size allows for the layout to cover most tables and can also be fitted to home table projects. The design is the standard Baccarat Layout and betting rules. Its screen printed onto a thick felt for longer durability. The layout comes folded in its packaging and may need an iron from the back on a low heat setting to remove the creases if they cause any issues.